The Custard TV: Line of Duty confirmed for two more series. Line of Duty confirmed for two more series. BBC Two have taken to twitter to confirm a third and fourth series of the critically acclaimed drama series Line of Duty. 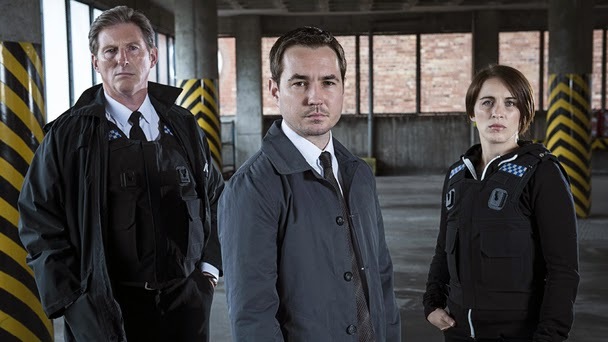 Simon Heath, Executive Producer, World Productions, adds: “We're delighted with the fantastic response to Line Of Duty and the commission of two further series. It's a great chance to go deeper into the murky world of AC-12 and testament to the creative collaboration between Jed, World and the BBC." Line of Duty series two attracted a stellar British cast, with Keeley Hawes receiving flawless reviews for her performance as DI Lindsay Denton alongside Martin Compston as Detective Sergeant Steve Arnott, Vicky McClure as Detective Constable Kate Fleming, Adrian Dunbar as Superintendent Ted Hastings and Mark Bonnar as Deputy Chief Constable Mike Dryden. They were joined by Jessica Raine as newly appointed Detective Constable Georgia Trotman before she was shockingly killed in episode one.